One Planet packs are at the pinnacle of the Australian backpack scene and match it with the best of the international brands with there unpretentious functionality, robust build with out all of the gimmicks that seem to be popular with most of the other backpacks on the market. You could say I am a big fan of One Planet packs and gear in general, however these packs won’t be for everybody. The simplistic styling of their bags can be compared to Mountain Hardware’s summit rocket, South Col and Driettissima range. Other packs with this styling include Expeed and Black Diamond but both can lack the robust nature of the previous mentioned packs. One planet won’t have any lightweight packs in their range that most hikers and novice adventures will be familiar with, however these pack could be the last purchase you will make as they just don’t wear out. 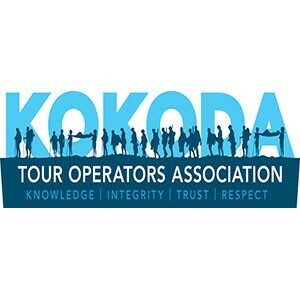 Example our packs that we use on the infamous Kokoda Trail have been in service for 7 years and apart from the colour fading slightly they are as good as the day you purchased them. Our porters are really hard on our gear and many other lightweight packs would have gave up the ghost by now. One Planet streamlined the compression system on their bags to ensure effectiveness but keep a limited number of straps dangling about to get snagged on passing vegetation, this provide a really simple strapping and compression system the most novice hiker can work out. 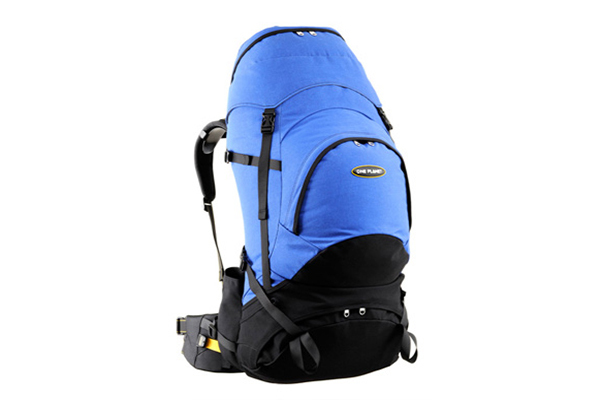 This is a clean and unpretentious pack built to do the job and no unnecessary fancy add ons. The pockets at the Top, underlid and front are very spacious, all with great zippers and wonderfully integrated into the pack design, you can easily fit your first aid kit or MSA stove and knife, fork, plate set in hear. There are also bottle holders built into the harness and some additional attachment points for extra gear. The beauty of these additional points is they are unobtrusive and streamlined. (In other words they won’t cut them off to save weight!). These bottle holders work and are hiker friendly as you don’t have to dislocate your arm to reach these. The zippers are really strong #10 YKK zippers, with big handles. These zippers are tough and the sewing to hold them there solid. Fabric’s used are Strong, tough and waterproof. It is called Waterloc canvas. It is worth reading to understand the research and product development that has gone into this pack. The pack is waterproof to a certain extent; teamed with a pack cover it is more then sufficient to keep the water from penetrating. These packs are not the lightest at starting at 2.5kg for the WBA up to a little over 3kg for some but strong and durable, if you want this to be the last pack you buy these are it. The strength and soundness of this pack promises years of hard work and gives us confidence that it will weather anything we throw at it. Harnesses don’t assume all harnesses are the same, basically shoulder straps and a hip belt. One Planet believes the harness is the most important part of a backpack. Without a strong, comfortable harness, you might as well buy a suitcase and carry on your head.They will fit you up with an exact fit harness system which is interchangeable and to a degree you could share the same pack with a similar size and shaped mate.